The word “religion” has a lot of baggage. 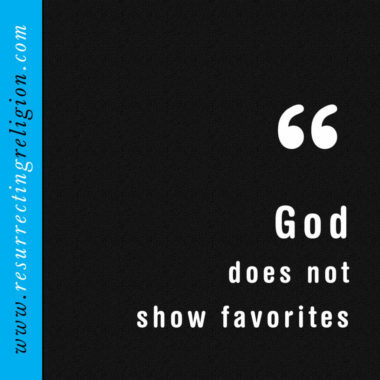 We emphasize our relationship with Jesus because we don’t want to be associated with bad religion. 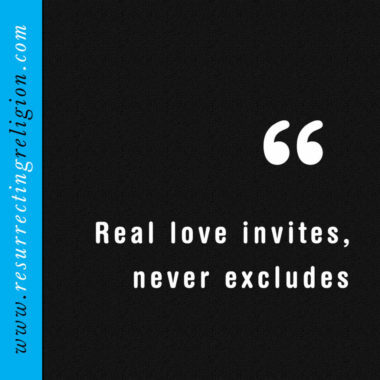 But the answer to pursuing Christ fully isn’t no religion, it’s resurrecting true religion. 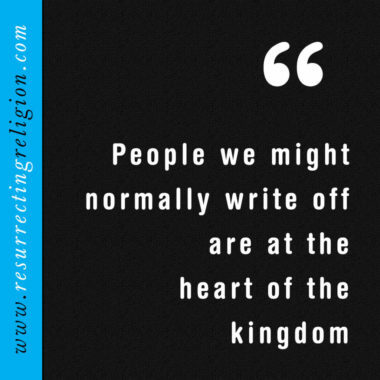 It puts flesh on the bones of our faith so we can actually transform the world for God’s kingdom. Greg Paul unpacks what true religion looks like for you and the communities you care about. Enjoy the intro and entire first chapter for free right now. But be warned, Resurrecting Religion will move you. In your heart, your mind, and then your feet. To get up and start living out your faith so it becomes a visceral and tangible part of you everywhere you go. Many people practice their faith in extremes—either publicly, with a legalistic, combative tone that creates division, or personally and privately, to the point that their faith becomes functionally irrelevant. Using the book of James as a guide, and the streets of Toronto as a proving ground, Greg Paul demonstrates how we find our way back to living out the gospel. Resurrecting Religion is a convicting and inspiring vision for a world-changing faith. Free shipping for 3+ books! Greg Paul is a member and the founding pastor of Sanctuary Toronto, a ministry and faith community that holds at its center people who are poor and excluded in Canada’s largest city. He is the author of several books, including the award-winning titles The Twenty-Piece Shuffle and God in the Alley. This book couldn’t be more timely. Greg Paul is one of the few clarion voices who’s vocational fidelity has embodied this message in a way that it’s not only credible, but proven by the way he lives out this critical message. His insightful ability to take difficult conversations and make them safe and accessible is fresh—an urgently needed alternative. 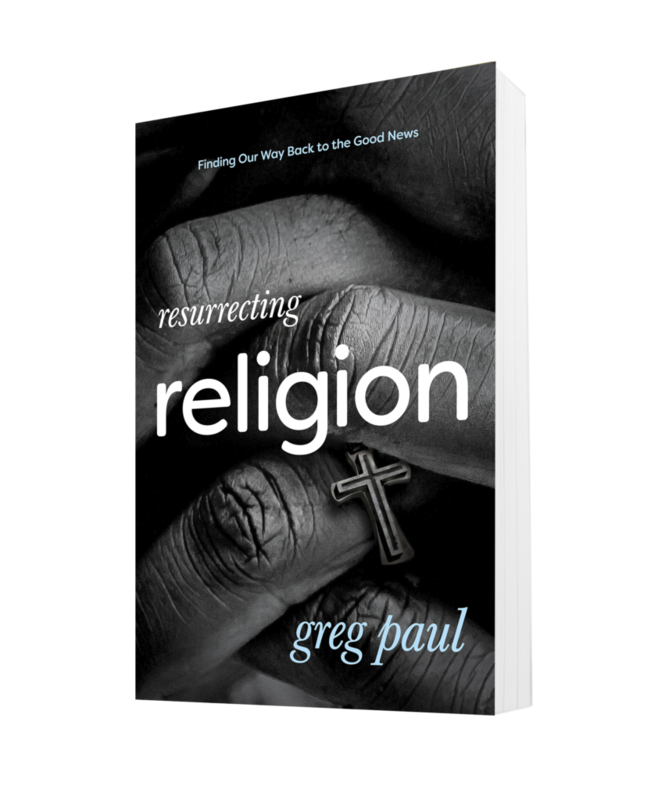 While deconstructing religion may be trendy, Greg leads in the reconstruction through a hopeful imagination of what we all hope for. May you have the courage to live into the responsibility of the gifts contained within these pages. It's easy to criticize religion. It's an entirely different thing to offer thought-provoking insights of your own religious practice from the trenches. Deep inside the muck and the mire of human existence is where the gospel first gave light and the religious impulse was born anew—one that would care for widows and orphans in their distress and spark a living faith in a living God. Greg Paul lights up the dark realities of our “post religious” talk with the hope of a religion that matters in real life to real people, right now. 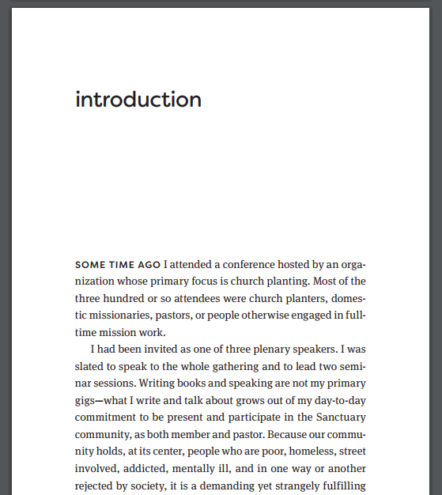 In this book, Greg Paul speaks an urgently contemporary word about the church. His pages teem with testimony of gospel obedience that lives in the real world, that moves in ways of mercy, compassion, and justice, and that heals and transforms. 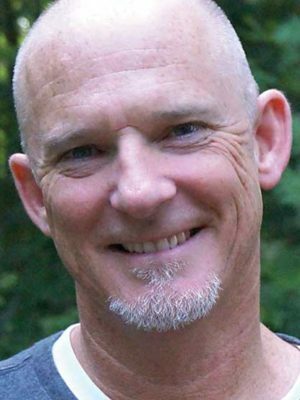 He has rich, concrete, compelling tales to tell about real people living out gospel lives. His book is a treasure-house of evidence that there is another way that need not yield to “bad religion.” We will not want to miss out on this rich testimony! I highly recommend that you read Resurrecting Religion for these reasons: stories that will move and inspire you; insight that is wise and practical; writing that is vivid and lucid; a guide (Greg) whom you’ll enjoy spending time with and who has lived this story with integrity by grace; and, finally, because this book will give you a vision for more faithfully loving your neighbors in response to our common prayer that God’s kingdom will come on earth as in heaven. 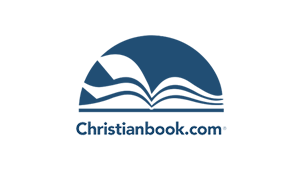 The author's central premise, that "true religion" is vital for the life and salvation of the world, is backed by an experiential authority that is uncomfortably hard to dismiss. Particularly, reading the book of James through the lens of the Beatitudes is a lesson I'll not soon forget. This is a timely and important book. Resurrecting Religion will inspire you to live out the biblical call to justice and Jesus' teachings from the Sermon on the Mount. In a world that continues to create distance between the rich and poor, Greg's book teaches us the importance and power of having close relationships with those living on the margins of society. Greg Paul’s book comes just in the nick of time. I have a growing suspicion that the anti-religious sentiment—so pervasive in Western culture, and captured by the mantra “I’m not religious, but I’m spiritual”—is simply another and latest version of that old enemy and heresy: Gnosticism. It’s like saying, “I love football; I’m just not into the organized kind.” Unless our faith is rooted in and structured around practices and pathways that have stood the test of time—unless it is, in some real and deep sense, religious—it will not hold together. Indeed, the root of the word religion is exactly that: to re-ligament, to tie broken things back together. Greg (who claims to be neither theologian nor writer, but who does both these things brilliantly) speaks winsomely, urgently, and convincingly about our need to reclaim our religious identity and heritage while also doing what Jesus and the Prophets did—rejecting all bad religion. This is a book for our times if ever there was one. Sanctuary (the building) is just a stone’s throw from Yonge Street, Toronto’s historic “main” street, at the upper end of the downtown core. We’re surrounded now by soaring condos – there’s one just being finished now, a block away, that rises 80 stories; the building next door is a mere 44. Walk for about ten minutes and you’ll find yourself in the heart of the financial district that controls the country’s wealth. But Sanctuary (the community) mostly lives in the cracks and holes that fracture the glossy surface of Canada’s largest, richest city. Many of us struggle with addictions, homelessness, mental illness or severe post-trauma issues. Violence is an almost daily reality; untimely death cruises our streets and the pickings are far too easy. Toronto is often touted as the most multi-cultural city in the world, and we reflect that ethnic rainbow. A high percentage of us are also the other kind of rainbow people: lesbian, gay, bi, trans, two-spirited, queer… Put a label on it, and we probably include it. A few of us are rich; most of us are poor. Politically and theologically, we run the gamut. We’re a beautiful and profoundly damaged people. Our wounds are too deep to ever fully heal in this wounded world, but the image of the Creator in us is deeper still, too powerful to ever be eradicated. We curse and fight; when we are more truly ourselves, we also worship and love. “Love one another” was Jesus great command. This is really all we have – our only means of finding unity in the midst of such conflicted difference, our only hope of healing souls and systems ravaged by sin. And it’s working.